Assembling and presetting the tooling. Think of how much quicker you could begin if you could just skip that step. Here’s the Good News… Now you can! A few posts ago, we introduced our multitalented group of Project Engineers who are responsible for creating an out-of-the-box (and ready to run) experience for any and all tooling projects you have on your plate. We understand that tedious tasks — such as assembling and presetting tooling — can hover over your head like a dark cloud; so we take the steps right out of the equation for you! And aside from convenience, the benefits are endless: reduced handling, verified pre-set dimensions, elimination of queues, and decreased labor costs. This “out-of-the-box” service is only one part of the complete tooling package offered through our Program Engineering Team. 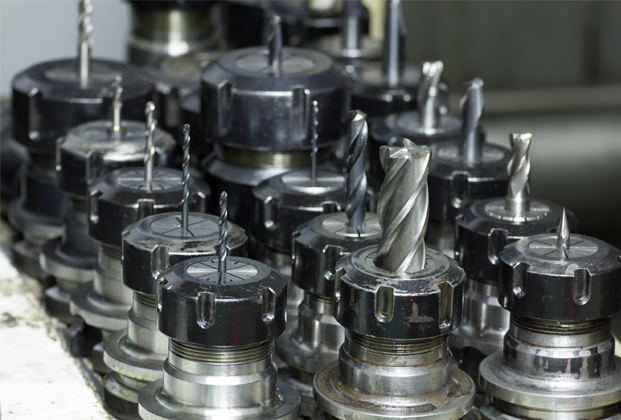 Whether you challenge us to supplying an assembled 100 insert milling cutter, or simply setting some drills, we guarantee the same end result every time – ease and excellence. If this seems too good to be true, we promise it’s not. It’s just one of the ways Kennametal helps you to stay productive. Once your tools are manufactured in one of our global manufacturing facilities, they’re shipped to a Logical Warehouse, which are positioned all around the world. Being regionally located, the Program Engineer is right there to oversee that the project requirements are achieved. Once your tools arrive, we dedicate our diversely capable technicians to handle the assembly, preset, balancing, and verification of each tool. Our technicians are highly skilled and experts in machining, assembly, inspection, and our software systems. They ensure each tool assembly is ready to run. Once all tool assemblies are built to your specifications, they are marked, packaged, and labeled to your specifications. All individual assemblies are then packed for you to receive as a bulk shipment. This proven method ensures the tools arrive safely and simultaneously at your door and can be quickly received, unpacked, and loaded into your machine tool. It’s that easy. The logistics start at day one and continue until the day you receive your tooling. Simply tell us what your project requirements are. The program engineering team will take the necessary initiatives utilizing our global resources to meet the needs of what, where, and when. The progress of your package is constantly being tracked until the day it arrives – and the support doesn’t stop once we deliver. We’ll be there for runoff to make sure the tools perform to your satisfaction. For you, it’s a carefree approach to be able to start implementing your new process and realizing productivity improvements. If would like us to supply a quote or would just like more information, contact your local sales engineer or our service center at (800) 446-7738 . Learn more about our Global Engineered Solutions Team on our webpage!